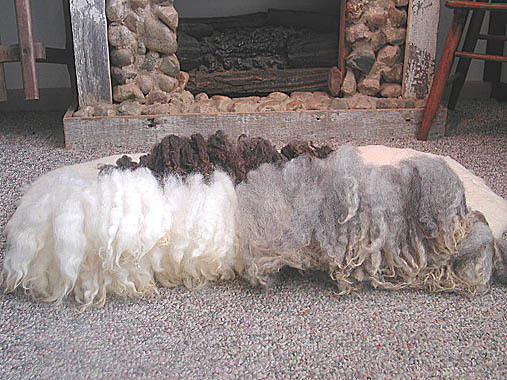 Shorn locks of triple grade A New Zealand wool, washed and organized for craft use. Just pick up and use - no waste! Sold in 1# boxes (it takes at least 2# of craft wool to yield 1# of sorted wool). These wools may also be purchased by the ounce at $4.00/ounce.